Competition has its place in life. It can nudge us on to be our best. It can teach us the thrill of winning a prize, and reaching success. But sometimes, it can lose perspective and turn a positive into a threatening negative. Leopold, the zoo’s highlight of the fans, becomes threatened by the presence of a look-a-like balloon, and the battle begins. This comical story is sure to bring laughter, along with some clever insight. The illustrations are fun and lively, making this an all-around good time. Book—who has an endearing personality—loves his nook in the library, which is safe and cozy. But Book’s life is boring, until he summons up just a little courage, and then his adventure begins. Children will root for Book and applaud him in the end. His story will make you smile, and tickle your insides with warmth. The narrative is sweet, clever, inspiring, and amusing. And the whimsical illustrations complement the story wonderfully. This charming board book, inspired by Anne of Green Gables, takes us along a walk through nature and teaches the numbers one through ten. The homey and gentle embroidered illustrations invite children to investigate and count the flowers, trees, friends, and other adorable elements of each tableau. Another in a series with Anne’s Colors—both books are captivating worlds to be in. This is a lighthearted romp children will surely enjoy. It’s a delight from start to finish. A friendly giant octopus on the roof of an apartment building? Whatever could it want? The story, the colors, and the illustrations by Coelho all work hand in hand, making it truly a feel-good experience! Animal Planet is a popular division of Discovery Communication. This fact-packed series is as enjoyable and entertaining as its TV counterpart. Each book is filled with details, education, and great facts. Perfect for kids on all levels. Great for school reports. I read Book #5 Horses!, and Book #6 Dolphins! and found them both impressive. Moving is hard. Whether it’s across town or across the big oceans, adjustments can be most uncomfortable. Excitement surrounds each new place, and each new discovery. Yet, sadness whispers in memory of old things left behind. Rashin lets herself find new joys, while she holds tenderly the old ones. Owen has lost sight of himself, and falls to wishing he were like others. Until he can refocus and find is own true value, his world takes on a gloomy outlook. We all have a part to play, a gift to add to the whole. Something so unique to us that it cannot be done by another. So, when we look and admire others, let it be for their special identity, and don’t let it take away from our own. Along with Owen, we learn life lessons to strengthen the heart. This story is a great reminder to regard the personal space of others with respect and that courteous and gracious behavior promotes strong and friendly relationships. Everyone has boundaries. A personal space we find comforting. We all may have encountered a person who stands a bit too close when they speak. As kind and considerate people, we should be aware of these unseen barriers, and do our best to respect them. The illustrations will surely hold the interest of little ones as they read this story. Gentle reinforcement of nightly routines will tickle their fancy with these amazing machines. Additional titles include Race Car Dreams and Fire Truck Dreams. A great series to offer encouragement for strong and healthy bedtime habits. Living up to our name can be tough sometimes. Take Bud, he’s a stinkbug. Only thing is, he doesn’t stink! While all the others are outstinking each other, he comes up smelling like roses. Desperate to fit in, Bud tries hard to find his own personal foulness, but instead discovers a totally different talent. Sometimes, we just have to bring what we got and find our own special spot. A fresh take on an old tale. Size isn’t always necessary to win a battle, but a strong faith that dares to believe it’s winnable. The Kool Kids have that kind of faith. They have their own giant wreaking havoc in their land. His name is Obesity, and with faith and prayer, they know just how to bring him down. Tate opens the topic of fitness and health in terms and interests kids can enjoy. Positive stories told, and retold, bring confidence and strength for our children to meet all the giants of life that may cross their path. Everything about this touching story is soft and moving. From the illustrations by Kyle Olson, to the times in history that tore at the heart of its people. The reality of loss and hardship seen through a young child’s eyes, relates to us the dark days of drought that created the historic Dust Bowl Era of the early 1930s. This is a tender tale of love and hope, reminding us of the strength of those before us who endured and overcame, and forged the path we now travel. This is the first in a series to discover our nation’s past. I’m looking forward to the next. by Susan Verde, Matthew Cordell (Abrams Books for Young Readers). Reviewer: Sherry L.
This is a book that resonates in the heart of its reader as the words by Susan Verde and illustrations by Matthew Cordell blend together in literary harmony. Told through the main character’s point of view as she poetically plans her act for the upcoming talent show at her school, readers are bound to make a connection through her love of music. This story trumpets the important message of being true to yourself and finding your inner voice. Frog and his friends the ducks and voles live happily beside the beautiful river. Along comes beaver searching for a place to build his first dam. Frog kindly invites him in to share in their world. But the animal friends soon learn that beaver might not be a good fit for their community when he stops the river from flowing. What happens next is a lesson on learning from your mistakes and how they affect others. This delightful book will help teach young readers about cause and effect and how to correct your mistakes when they have hurt others. This is a delightful picture book that is reminiscent of the famous children’s story Goodnight, Moon, but the main characters are an adorable seahorse and other wonderful animals in the ocean. It is a simple book that children will enjoy hearing over and over again. I love the brightly colored illustrations and the pages at the end that include pictures and names of the animals of the coral reef. I even learned about an animal that I had never heard of before! I highly recommend this book for ages 2-5. 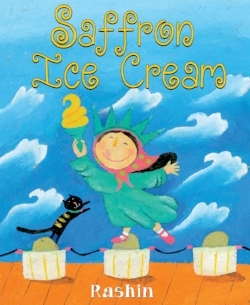 This is a charming story of a little girl named Nora who is a young seamstress for the circus. Nora is unaware of her part in the grand scheme of it all but she learns that she plays a big part in creating the magic. It’s a great story and it flows well from beginning to end. It also includes interesting facts about the circus and the illustrations are delightful! I would recommend this book for ages 6-11. There are so many reasons to love I Feel Teal. First, the illustrations are simply adorable, each spread creates such a deep plunge into the corresponding feeling of emotion. Second, it’s totally relatable. Each situation represented is a very solid, very real experience to which we all can connect. But I think the biggest reason is that while the book uses colors to describe emotions, it doesn’t use the same stock colors and situations with which young viewers are already familiar. This book doesn’t regurgitate “red is mad, yellow is happy,” but includes more shades and variations introducing scarlet, mauve, ecru, etc. A wonderful read for anyone, but an especially fun eye-opener for a younger crowd. I didn’t know I could feel so much love for a book about a little girl, a flamingo, and their potato friend. Wonderful quick read about not fixing feelings, but experiencing them and letting them be okay. Sometimes we are all just sad. This story is about not being cheered up, and how that is okay, too. Wonderful characters, easy to absorb dialog for younger readers, and a completely relevant and important subject for a 4 years and up audience. The Know Where You Are series is fantastic selection of board books intended to educate, enlighten, and explore the world around us and explains how our brain processes this invaluable knowledge. Each book includes gorgeous pictures, easy-to-understand dialogue, and topics presented in an approachable way. I just loved how topics like geography, the human brain, and thoughts and emotions are explained so clearly, with fun characters sharing extra tidbits of information in speech bubbles. The Know Where You Are series is leading the way for readers of all ages to understand and appreciate how truly amazing our mind, body, and world really are. This fresh and fun story begins with Darcy’s devastation over her play date cancellation and the expression on her face when Daddy tries to console her captures every emotion little children experience when they are disappointed. Darcy reluctantly agrees to have a “Darcy Daddy” day instead, but they must follow her play date plan list, of course! Dress-up? Daddy surprises Darcy in his tutu. Lawnmower turned into a carriage? Daddy had pink ribbons to spare. Hair salon time? Fancy hairdo’s coming right up! The illustrations are superbly done, and the relationship between father and daughter is perfectly captured. A must-read for every family. Daniel Misumi has just moved to a new house. It’s big and old and far away from his friends and his life before. And it’s haunted! Megabat is now living in an old house far from home, feeling sorry for himself and accidentally scaring the people who live there. Daniel realizes it’s not a ghost in his new house. It’s a bat. And he can talk. And he’s actually kind of cute. Megabat realizes that not every human wants to whack him with a broom. This one shares his smooshfruit. This is the cutest story I’ve ever read. A great book for an early reader. Louisiana’s Way Home is a sweet, heartfelt story. I can tell you I wouldn’t want to be in Louisiana Elefant’s situation, which is to leave her home and everything in the middle of the night because her Granny wants to escape a family “curse.” Louisiana ends up in a small town in Georgia. Will she make her way back home to Florida or find a new home in Georgia? Will she discover the truth of the curse? Sometimes the most difficult situations can be the best life lessons. I’m sure Louisiana can attest to that! Red’s Planet is a quirky, imaginative and fun graphic novel! This comic-style book is engaging, especially following headstrong, adventurous 10-year-old Red. Red longs to leave her annoying foster family for her perfect world but before she does a UFO mistakenly kidnaps her. I like this book because it’s funny and you can relate to this type of story. Sometimes things don’t always turn out as you expect, but making the best of what comes is pretty much what Red must do to survive. Tash didn’t want to go to camp, didn’t want to spend the summer with a bunch of strangers, didn’t want to be separated from the only two people she has ever been able to count on: her uncle Kevin, who saved her from foster care, and Cap’n Jackie, who lives next door. Camp turns out to be pretty fun, actually, but when Tash returns home, Cap’n Jackie is gone. All she has is the key Cap’n Jackie always insisted had magic in it. Jackie always said all Tash had to do was hold it tight and the magic would come. Was it true? Could the key bring her back? Young readers will be aware of the foreverness of love, especially when it’s mixed with a little magic. When 12-year-old Cooper Vega moves for the third time in five years, he receives a state-of-the-art smartphone to help him stay in touch with old friends. He’s had phones before, but this one is buggy and unpredictable. When a boy named Roderick Northrop communicates with him through the phone, Cooper realizes that his phone isn’t buggy at all; the thing is haunted! I loved the ending that transformed both Roddy and Cooper from self-imposed losers to unexpected stars. A great read with a great ending. Kids will love it. All Vera wants to do is fit in―but that’s not easy for a Russian girl in the suburbs. Her friends live in fancy houses and their parents can afford to send them to the best summer camps. Vera’s single mother can’t afford that sort of luxury, but there’s one summer camp in her price range―Russian summer camp. This is the perfect coming-of-age story for any young girl who is new at school or the most unpopular. It serves as the perfect example that when you change a few things about your character, you can become a new person and that can change how everyone else sees you, too. A most encouraging and inspiring story – I just loved it. This is a fun activity book that gets kids to develop and increase creativity by drawing and writing to create a story. It opens young minds to real and imaginary experiences. This is not one for a young reader to finish in a few hours—I could easily see this entertaining youngsters for a few days. This is the perfect book to take on a long ride; your little creatives will enjoy using their imaginations to complete the many pages. Not only is it fun, it is most educational as well. This is a scientific and exciting read for any youngster. It contains everything you need to know to start your own rock collection. The Brandts also include games and projects and teach everyday uses of rocks and minerals. There are pages and pages of log sheets—enough to assist the weekend junior geologist in logging all their many finds. A great way to spend a weekend outside in the fresh air. I highly recommend this book to young, aspiring collectors. Jasmine Barton grows up hearing terrible stories about her now-deceased mother. To make things worse, Dad mysteriously disappears. She lives her early teen years with relatives who treat her more like hired help than family. She lives a lonely life until the day she meets another unwanted creature—a horse named Manhattan. Young readers who love horses will get an insider’s view on the sport of equestrian riding and particularly, life with these beautiful animals. I particularly love how Jasmine and Manhattan bring out the best in each other and the wonderful surprise ending. A fantastic read!